Dell© is a leader in Network Attached Storage solutions for businesses, from SMB to Large Enterprise and Government. We are able to consult on a custom tailored storage solution for your organization. Servers: powerful, affordable network engines emphasize scalability and reliability. Networking: Get high-performance, reliable, managed and unmanaged network connectivity. Dell offers IT infrastructure flexibility with small business servers; simple and complex storage options; and reliable enterprise class networking. Rack Servers for businesses with multiple servers or limited square footage or storage space. Tower Servers for businesses that require value, flexibility and a range of performance options. Blade Server Solutions for high density computing, featuring the latest high performance technologies. Shared Infrastructure for office environments in small and midsize businesses as well as enterprise remote and branch offices with limited IT resources. Network Attached Storage for centralized storage: Enables file sharing and storage consolidation using iSCSI & Fibre Channel technology. Storage Area Network for uncomplicated and versatile virtualized iSCSI storage that easily grows with your business. Direct Attached Storage Dell PowerVault MD3 storage arrays help you cost-effectively address the challenges of data growth with versatile solutions that are optimized for smaller-scale storage consolidation, flexible virtualization projects and high business continuity. Fixed Port Ethernet Switches Meeting the demands of today’s virtualized networks with resilient, high-density, full-featured switches for large and small businesses. Wireless Networking Deploying cost-effective, highly secure and easy-to-manage wireless ecosystems for employees, guests and remote users in indoor and outdoor environments. 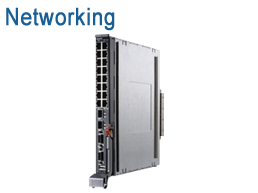 Chassis Switches Enterprise and mid-market data center and aggregation deployments that need flexible, high-performance and resilient 10/40GbE chassis-based switching. 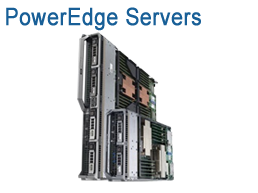 PowerEdge M-Series Blade Interconnects Transforming your Dell M1000e blade server enclosure and maximizing connectivity with a variety of 10/40GbE, Fibre Channel and InfiniBand interconnects. 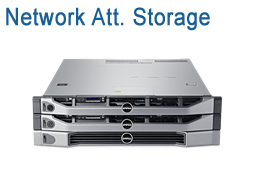 Dell PowerEdge R620 1U rack server offers high-density memory with numerous PCIe and I/O (input/output) options for virtualization, HPC applications and maximize computing power without compromise in space-sensitive environments. The PowerVault NX Windows NAS series provides the quality and performance of Dell's 12th generation PowerEdge servers, and the simplicity of factory integrated Windows Storage Server 2012. Our specialists are expert in designing network solutions and can help you create a plan for sourcing and deploying your Dell solution. Optrics offers personalized Dell product training - a service designed to help you integrate your Dell solution smoothly into your network infrastructure.